5 Creative Cakes that Wow! I love cake designs. Like I really love them. And being that I have an art background, I have to admit that I find myself gravitating towards modern, artsy, edgy cakes. 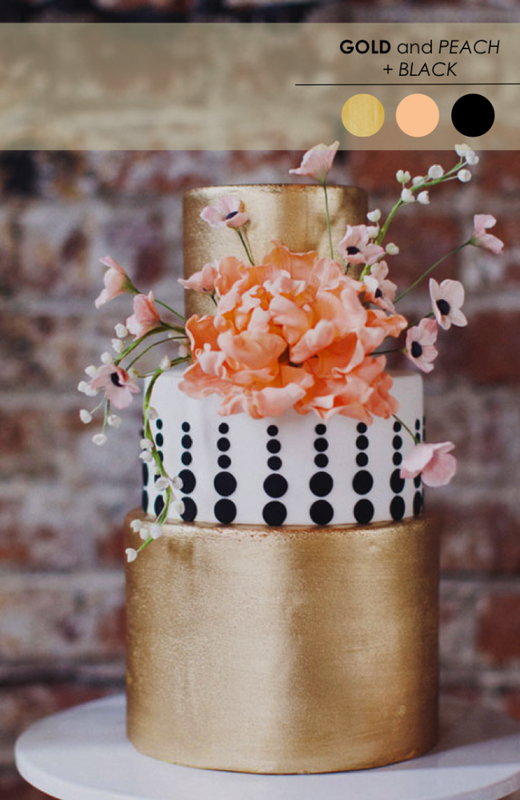 Hand painted cakes, cakes with metallic detailing, cakes that have fun patterns? Yep, those are my kind of cakes. Oh, and did I mention that I love colorful cakes? Yep, I'm a huge fan. And so today I thought I'd share with you guys a few of my favorite cake designs. Cakes that wow! Cakes that inspire! Cakes that are almost too pretty to eat! Get ready for some serious eye candy and be sure to pin your favorites! So many lovely cake designs. Am I right? Ahhh, I'm in wedding cake heaven. 12 Comments " 5 Creative Cakes that Wow! " So many great ones to choose from. I love the artsy look to these. I think the last one is my favorite. These definitely wow! They're all gorgeous, but I think the top one is my fave. These are gorgeous. More like works of art! I love how unique the first one is. I nearly fell out of my chair when I saw that first post! Oh,amazing! I love the cakes especially the gold and peach. Inspiring. I want those first two cakes! The metallic touches are beautiful and offer both a bold and rustic look.